In the past I have personally given a lot of flack towards Gartner, but that was when I was in a different stage of my career. Over the past two years I’ve transitioned into management, and with that had to learn several valuable lessons. The most important, for me, being expectation management, but that’s for another blog post. The second most important would have to be effectively leveraging resources across all channels. And that’s why I wanted to talk about Gartner. As an engineer, I found them to be a bit pedantic. They wrote these long winded articles that seemed to never get to the point, i.e. does this product deliver what the company is selling? — A lot of the analysis I’ve seen from Gartner has gotten much better in the past 10-12 years, and while I appreciate that, I think we actually have to thank ourselves for that, rather than Gartner. The freely available content available on blogs, like RouterJockey, has forced anyone hoping to sell content to step up their game. But I digress. My engagements with Gartner always felt generic, I consistently had issues with the amount of knowledge the analyst on the phone had. Using them for pricing reviews felt tedious, as the pricing I got was better than what they saw in the market 90% of the time. And finally they’re expensive, I saw the budget line items for Gartner and shuddered every year. There were a lot of things I could’ve used that money for to fix our infrastructure. As a Tech Field Day delegate, I have to agree with John Herbert. Delegates continue to take time out of their busy work schedules to attend these events in order to actually learn something about your products. We’re there to actually engage with the vendors, to interact with the folks who developed and brought this thing into the world, we’re there to ask questions, and even possibly get some hands-on experience. So when a presentation starts off with a Death by Powerpoint presentation that includes a NASCAR slide, followed by a Gartner magic quadrant slide that spawns a 20 minute diatribe about how Gartner rated your product, regurgitating out of context quotes from the report — yeah, that makes us want to throw things. But is any of that Gartner’s fault? No – but it certainly associated their name with a sour taste in your mouth. These days my feelings are slightly different. 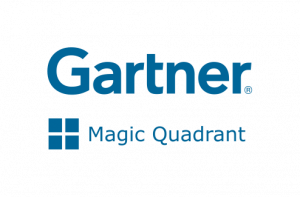 I’ve seen a much wider view of Gartner as a whole. I’ve seen changes in people based on the peer sessions with Gartner, they’ve become better managers, and learned so much about the expectations and limitations of their role. I’m actually looking forward to progressing in my career to justify that sort of engagement with Gartner. As for my engagements with Gartner as a manager, they have changed as well, I have a quarterly meeting with them and they’re tracking topics that not only I’m interested in, but topics that are important to my company. Do I still struggle with certain engagements? Sure. But 90% of that time it’s due to the effort I put in on getting the engagement booked. If I throw a request over the fence that is generic, then I may not get the best resource for what I need -vs- when I spend the time to invest in the scoping conversation, I regularly get what I’m looking for back during call. Overall the value I see has changed drastically. When it’s all said and done, these days my views have changed. I realized that recently when I had an engagement that opened my eyes. It was actually one of the best engagements I’ve had this year, it was specifically for Infrastructure and Operations trends for the upcoming calendar year. The analyst that put the call together was actually the guy writing the report, he was quite engaging and had a lot of interesting perspectives for next year. During that call I realized that my bias against Gartner as a company was misplaced, and that much of the hate I see is actually directed at the companies Gartner writes about.